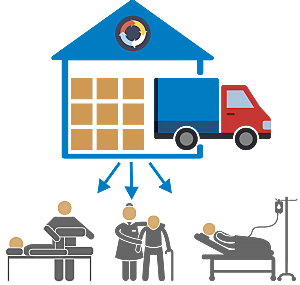 Hospitals and health facilities have limited insight in logistic costs. Logistics is no core business for health institutions, but that doesn’t make it less important. The pressure on the budgets, strict regulations and changing medical needs of the patients make it necessary to reorganize health logistics. In the project ‘Zorghubs’ (Healthcare hubs) VIL is researching the possibilities of healthcare hubs, central spaces where logistic activities of multiple health care institutions are consolidated and optimized. The focus of this project is to combine forces by centralizing flows of goods and supporting logistic processes on a mutual platform. In other words, the project aims to provide an answer to the question if and how healthcare logistic platforms can contribute to more efficient logistics and scale benefits. Furthermore the project offers opportunities to service providers to develop a new range of logistics added value services for the health sector. Accumulated knowledge and research on hub concepts in other sectors in Belgium and abroad will provide knowledge to test at the companies in the target group. This project will execute cases in a specific health care context to evaluate their value. To map out all flows of goods and information from and to the health care institutions, as well as the needs of the stakeholders and the legal restriction. A study of best practices in Belgium and abroad to research which flows and activities belong on a health care platform. To work out a logistic concept of a health care platform according to several scenarios, including the cost-benefit analysis. To select prepare and execute a proof of concept/case to test the concept in practice. To validate the results of the proof of concept to the practical applicability for the health care and logistics sector. 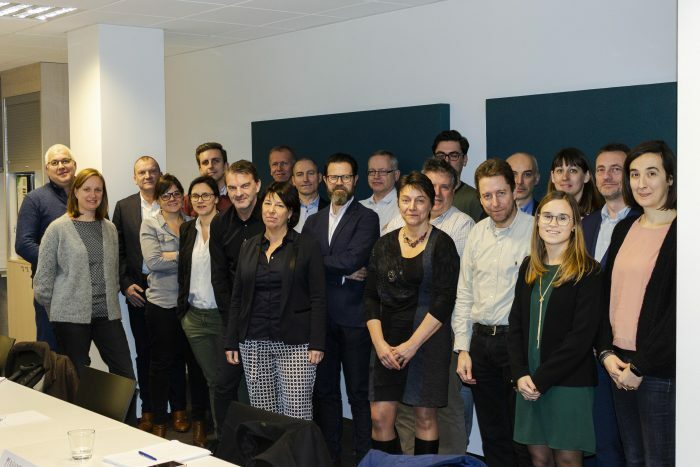 Based on the experience from the project VIL will formulate recommendations and map out what is necessary to further unroll the concept of health care hubs in Flanders. For this project VIL can count onthe cooperation of UHasselt. Start: October 2018 Total lead time: 24 months Participating companies Sixteen companies and health care institutions: AZ Klina, bpost, DHL Supply Chain Benelux, Hospital Logistics, Movianto Belgium, Nutricia Belgium, OLV Ziekenhuis Aalst, Raes Pharmaceutical Logistics, Sodexo Belgium, Sterima, Talent in Motion, Tosoh Europe, UZ Antwerpen, UZ Leuven, Ziekenhuisnetwerk Antwerpen and Zorgbedrijf Antwerpen. Thinking of an innovative project idea? VIL is the innovation platform for the logistics sector in Flanders.